SEGA have today announced that they are to release Mario & Sonic at the London 2012 Olympic Games later this year, on both Wii and Nintendo 3DS. With previous entries in the popular series having achieved sales of over 19 million, characters from both the Mario and Sonic universes now set their sights on London as they participate in the officially licensed Olympic-themed videogame. Mario & Sonic at the London 2012 Olympic Games is licensed through a worldwide partnership with International Sports Multimedia (ISM), the exclusive interactive entertainment software licensee of the International Olympic Committee (IOC). You can expect a range of new, exciting events, including football and equestrian -which will debut on the Wii version – as well as classic Olympic disciplines such as athletics, aquatics and table tennis. 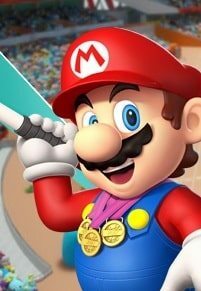 Arriving on Nintendo 3DS for the first time ever, the handheld version of Mario & Sonic at the London 2012 Olympic Games will contain over 50 original Olympic themed events playable in both single and multiplayer modes. The glasses-free 3D visuals and unique control systems ensure that there are plenty of ways of competing for gold medals! Mario & Sonic at the London 2012 Olympic Games will release later this year for Wii and Nintendo 3DS.